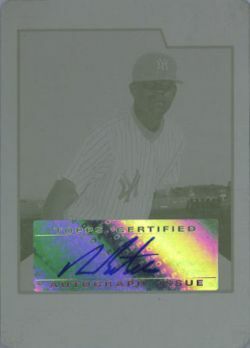 2007 Bowman Chrome Baseball marked the second year in which prospect cards, a key to the brand's popularity, were split from the main set. 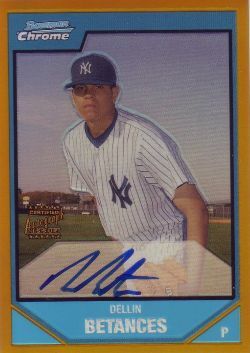 Because of licensing rules, players weren't allowed official base set rookie cards until they held a spot on a big league roster. 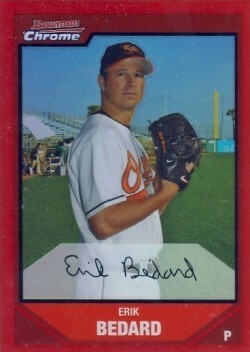 Although most of the key cards in the set aren't official rookies, they're still highly coveted among collectors. 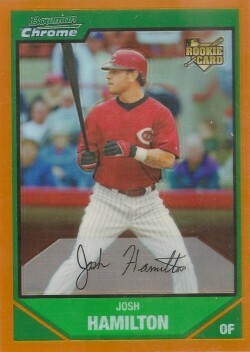 Because of the rule change, there are several cards that are often sold as rookie cards when in fact they're not. Ryan Braun, Hunter Pence, Josh Hamilton, Adam Lind and Ubaldo Jimenez are among the players whose 2007 Bowman Chrome Baseball cards have the rookie card logo but have fully licensed cards in sets from earlier years. 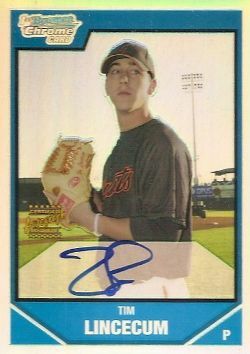 The key rookie card in the set is Tim Lincecum. 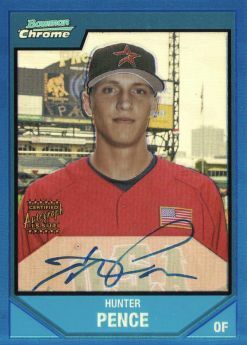 Although an insert, the Cy Young Award winner also has an autograph among the Prospects inserts. 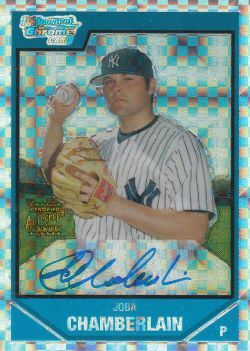 Other popular autographs include Pence, Joba Chamberlain and Dellin Betances. 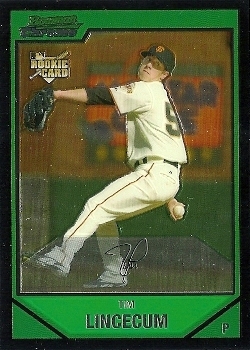 2007 Bowman Chrome Baseball has a 220-card base set to go with 256 Prospect cards. Autographed Prospects fall one per box. With 36 different players to collect, finishing the Prospect set is a challenge. Both the base cards and Prospects come in a rainbow of Refractors. Hobby boxes of 2007 Bowman Chrome Baseball come with 18 packs of four cards. Tirso Ornelas 2019 Bowman Chrome 1st Bowman Blue Refractor Auto 6 150.